The year 2011 has ended for metal companies on a weak note, and nothing suggests 2012 will be any better. In the domestic market, there is a marked slowdown in sectors such as infrastructure, automobiles, real estate and engineering. In the international markets, the euro zone’s fiscal problems have hurt both growth and sentiment. This is affecting demand for both ferrous and non-ferrous metals. Since demand from investors too plays a role in price discovery for non-ferrous metals, the effect is more pronounced there. On the London Metal Exchange (LME), for example, aluminium, copper and zinc prices are down 20-25% from the start of the year. The falls are sharper when compared with the year’s high levels. In steel, the fall in product prices is not as pronounced as the effect that rising costs—of iron ore and coking coal—are having on margins, along with slowing demand. Steel prices have not fallen by much year-on-year, but are down from the preceding quarter. The CRU Group’s global steel price index (weekly) as of 22 December was down by 8% compared with the 6 October level, and down by 10% compared with the 7 July level. It is up by about 3% from a year earlier. Steel makers will get some relief on the margin front from a deceleration in iron ore and coking coal costs. 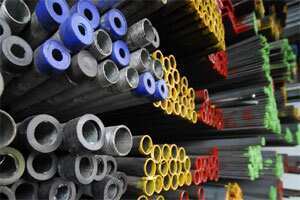 Non-ferrous metal companies too will benefit from more benign cost trends. In India, slower economic growth is predicted. In the near term, therefore, the outlook continues to be uncertain. While the Reserve Bank of India has paused on interest rate hikes, it is in no hurry to lower them yet. If the rupee strengthens against the dollar, that could be positive in the short term. In the medium to long term, unless economic growth recovers, especially on the capital investments front, it is difficult to expect a sustained revival in demand. The only quick remedy for the industry is if international metal prices move up due to an improvement in sentiment or a tighter supply situation. That will have a knock-on effect on domestic prices as well, which should earn better realizations for metal companies.